I find dressing casual, hard! Now that i work from home, my clothing needs to be comfy and most inportanly warm! 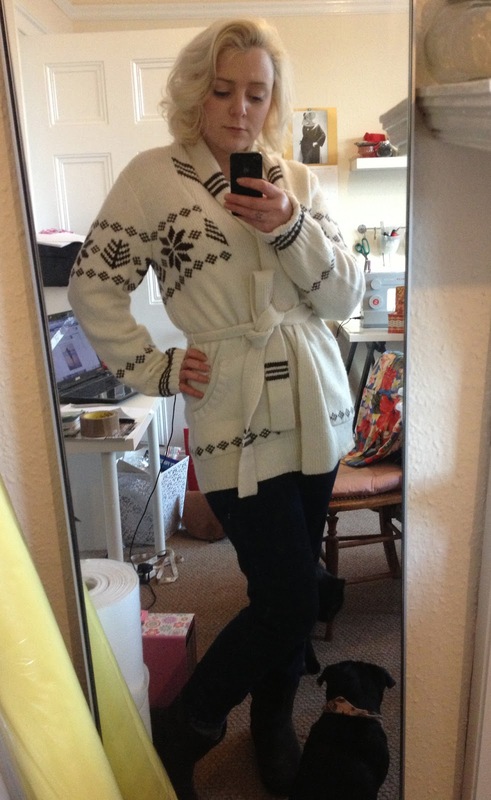 I have blogged before about my working from home wardrobe. 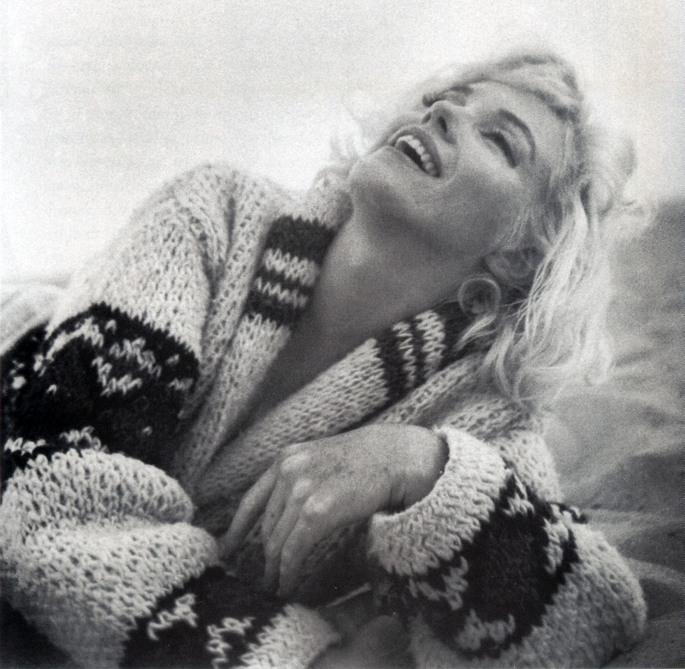 I have been on the look out for a chunky knit cardi, similar the one one Marilyn famously poses on the beach in. The origional sold in Christie's in 1999 for $167,500 well above the $30,000 estimate! I have even thought about getting one commissioned by one of my many talented knitter friends. I found this 70s knitting pattern on ebay . I was out with the dog today, walking around West Bridgford when i walked past Real Clothing. There it was in the window, priced £129 knocked down to £38! Yay! I must have looked like a mad woman, came in all hot and out of breath, jibbering on about Marilyn Monroe.... i find most people don't get excited about Marilyn as much as i do.... its rather odd. 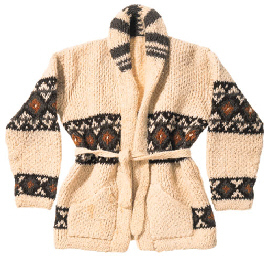 The cardi is from a French brand Aigle, no i haven't heard of them either, pretty pricey and high end, this baby was originally £129... so lets hope the quality matches! Here is the cardi online, so you can buy it direct through them if you wish or get in touch with Real clothing, they have none on their website but there were some in their West Bridgford store. I am pretty happy with my purchase, warm and practical unlike most things i tend to buy! Now all i have to do is organise a naked photoshoot on the beach! That these beautiful photos of Marilyn ... she was always beautiful with the dress more scemplice, and the truth is so for you! Congratulations! Hi ! I wonder, have you find this sweater somewere else? Im from Sweden and I really want this .